Nailing your Thesis (NYT), our course on how to perform research, is off to a good start (UnivIS, StudOn, Schedule, Syllabus). 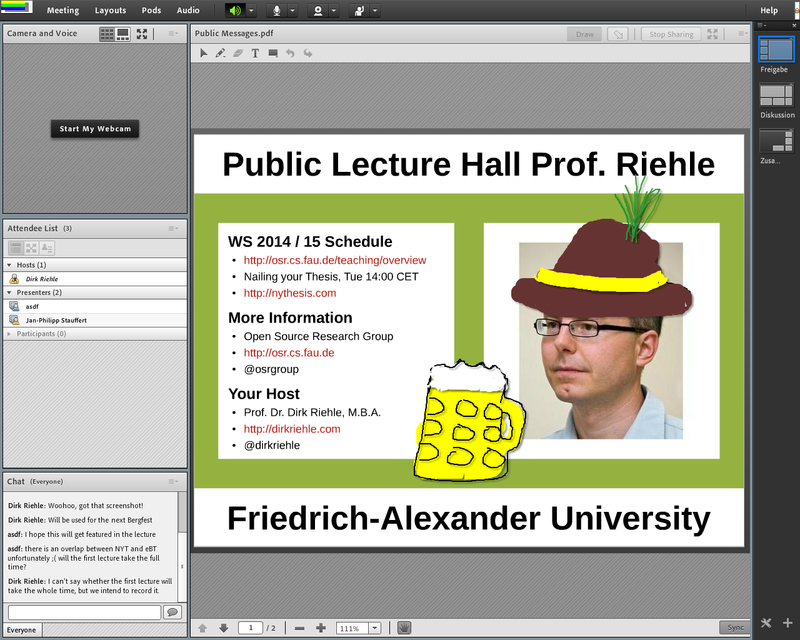 NYT is held online at https://webconf.vc.dfn.de/dirkriehle and guest listeners are welcome. Our students are in high spirits, and when left alone, get creative. Below, when we weren’t watching, a student decided to embellish the rather dreary online classroom.